Strawberries are on the menu at High Meadows Golf & Country Club, as our wonderful Chef Nicole takes advantage of the ripe crop of North Carolina strawberries here in the height of the season for this fruit. You’ll find them sliced up in salads and part of desserts, adding a sweet and nutritious treat to any meal. These additions to the menu follow a very long tradition of this fruit taking to the table as a first sign of spring, as strawberries are the first fruit to ripen each year. These days, with our greater transportation system and global economy, fresh fruit is available year round. But hundreds of years ago, when people were limited to eating fresh fruit only when in season, the strawberry earned special recognition and was often celebrated. In fact, strawberry shortcake parties were popular spring events in 19th-century America. Strawberry shortcake is one of the most popular ways to eat these red fruits. The versatile dessert can be made with pound cake, angel food cake, shortbread, or biscuits. It’s usually topped with whipped cream, but Cool Whip will do in a pinch. For other great ideas on what to do with strawberries, the North Carolina Strawberry Association has plenty of creating recipes. Strawberry season in North Carolina runs through April and May, and we’re proud of the fact that our state is the fourth largest in the United States when it comes to strawberry production. Plenty of farms open up their properties for the public to come pick strawberries in the spring. There are a few in the counties surrounding High Meadows, including Wilkes and Surry. For a full list, check out the Pick Your Own website. 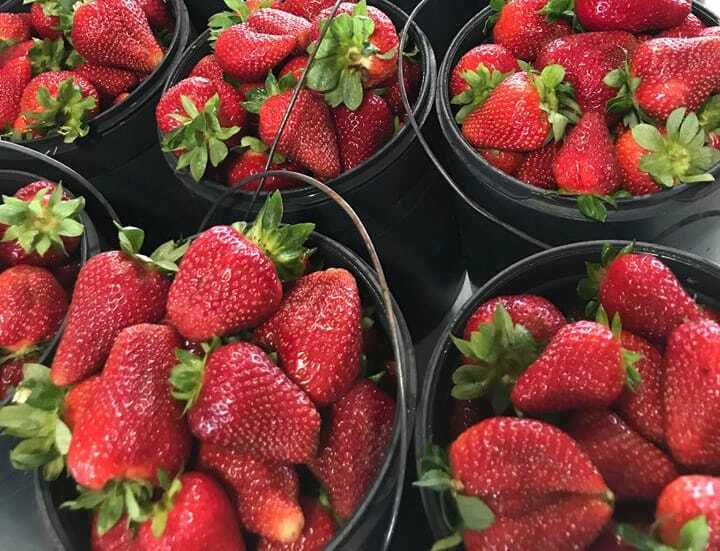 If you’d rather leave the picking to someone else, you can find fresh local strawberries at Hawks Market or the Alleghany County Farmers Market (open on Saturdays) in Sparta. Make the most of fresh strawberries while you can, the season doesn’t last long!